The theme of Group A other than the proverbial “who plays for second place” is one of teams trying to escape some sort of shadow. For Mexico, it’s been chasing the elusive feat of making a quarter final appearance in the World Cup that hasn’t been in Mexico. Brazil is trying to reclaim their WC throne after bowing out in the quarterfinal stage in their last two appearances while Cameroon is trying to make it past the group stage for the first time since Roger Milla scored four goals in Italia 90. Defenders: Darijo Srna (Shakhtar Donetsk), Dejan Lovren (Southampton), Vedran Corluka (Lokomotiv Moscow), Gordon Schildenfeld (Panathinaikos), Danijel Pranjic (Panathinaikos), Ivan Strinic (Dnipro Dnipropetrovsk), Domagoj Vida (Dynamo Kiev), Sime Vrsaljko (Genoa), Igor Bubnjic (Udinese). Midfielders: Luka Modric (Real Madrid), Ivan Rakitic (Sevilla), Niko Kranjcar (Queens Park Rangers), Ognjen Vukojevic (Dynamo Kiev), Ivan Perisic (Wolfsburg), Mateo Kovacic (Inter Milan), Milan Badelj (Hamburg), Ivo Ilicevic (Hamburg), Marcelo Brozovic (Dinamo Zagreb), Ivan Mocinic (Rijeka), Mario Pasalic (Hajduk Split), Sammir (Getafe). Forwards: Mario Mandzukic (Bayern Munich), Ivica Olic (Wolfsburg), Eduardo (Shakhtar Donetsk), Nikica Jelavic (Hull City), Ante Rebic (Fiorentina), Duje Cop (Dinamo Zagreb). There’s a number of familiar players in the provisional 30 for Croatia, bringing about the hope that this is the year for Croatia to be part of the knockout stage from Group A and return to a higher echelon of performance in international football. Their midfield has Luka Modric and Ivan Rakitic, superbly creative midfielders that will be counted on supply and create chances for the likes of Jelavic and Mandzukic (once he returns from his suspension). We may even get to see former Arsenal man Eduardo in the World Cup if he makes the final 23. This team isn’t just “Luka Modric and 22 others”, it’s a collection of vibrant talent from past, present, and future. Croatia’s journey through qualification went through the playoffs as they finish second to Belgium in Group A. They defeated Iceland 2-0 on aggregate, winning 2-0 in the second leg. Their formation was different to an experimented 3-4-2-1 in a previous game vs Belgium and the 4-5-1 played in the first leg of the playoff. It was a more conventional 4-2-3-1 with it only being Niko Kovac’s second game as the manager of Croatia. Modric and Rakitic played as the holding midfielders in the formation. Kovacic’s changing role in the lineup for the second leg as the CAM behind Mandzukic was a nice subtle shift. The 20 year old had a number of darting runs from his more customary mold as a CM that tore up Iceland and he set up Srna for Croatia’s second goal off of a wonderful solo run. Look it’s hard to take much in terms of what happened with their playoff vs Iceland other than Kovac seems like someone who’s flexible enough to change where he sees fit. For as much as it was impressive to see a country as small as Iceland make it that far, there’s a statue of limitations with what to take away considering Iceland were the opponent. A switch from a 4-5-1 to a 4-2-3-1 was an indication of perhaps where Croatia will go in the world cup where Rakitic and Modric can thrive as up tempo defensive midfielders. Their two tune up games before the world cup include Australia, who themselves are in a pickle with their fixtures in Group B. Those two games with the Australia game in particular could provide an avenue to see where Croatia were lean in terms of tactics and lineup configuration. Croatia should have high hopes of making it past the group stage, even with the Mandzukic suspension and Josip Simunic losing his appeal for the 10 game suspension doled out as a result of him leading chants that had association with former Nazi regimes. Their defense is where the weakness of the squad may be exposed, but even then there’s Dejan Lovren, a wonder CB for Southampton who’s tactically flexible and is great at passing. Their midfield is where their most stacked at and where the heartbeat of the team will have to come from while they have competent strikers and one of very good quality in Mandzukic and another solid striker in Olic. Their game vs Mexico will be the biggest one as the winner will all but likely sew up that second spot in Group A, and the tactical matchup with Herrera and Kovac will be very interesting to see, with Herrera’s 3 at the back and Kovac’s alteration with the midfield shape. It’d be a tall task for Croatia to upend Brazil for first spot in Group A, but getting out of the group should be the goal. 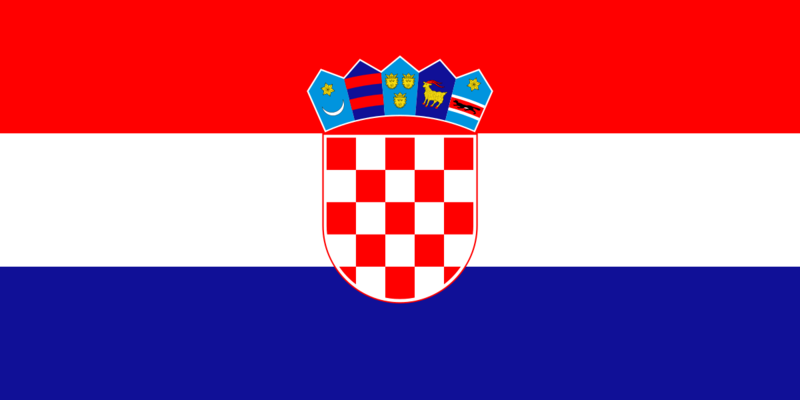 The ghosts of 1998 won’t leave short of Croatia making a Cinderella run to the semi-finals, but this team is very talented and getting into the knockout stage and perhaps even a quarterfinal appearance will be progress in the hopes of writing the next chapter of Croatia’s independent football history.